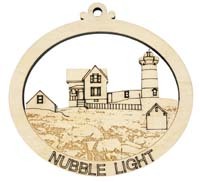 Each of the ornaments in our collection are finely detailed to capture what makes each lighthouse special. 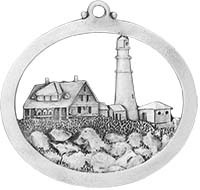 Some lighthouses are made of cast iron, similar to the Porstmouth Harbor Lighthouse, others are made out of hand cut granite block, similar to the Boston Light in Boston Harbor are captured in our Christmas ornaments. 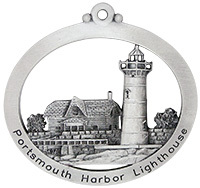 These pewter ornaments are wonderful souvenirs for any occasion. 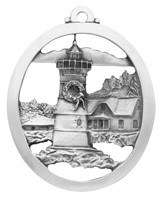 They make great birthday, Christmas, or just because gifts. 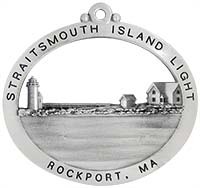 We have captured lighthouses as far south as Brant Point on Nantucket Island in Massachusetts and as far north as Portland Headlight in Portland, Maine. 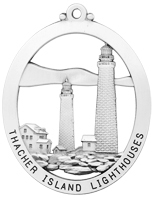 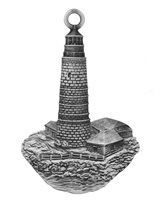 Lighthouses of MA, NH, and ME are captured in pewter to be enjoyed for many generations to come. 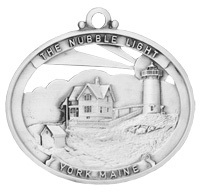 Most can be personalized with engraving to add to the individual charm. 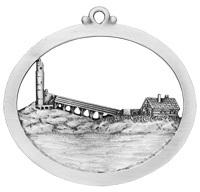 Collect your favorites or of the ones you have visited. 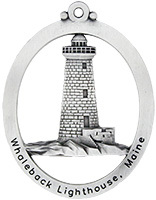 Don't see it maybe we don't know about it. 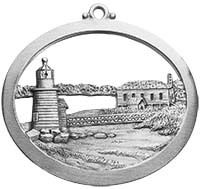 Send us and email at hpgifts@hampshirepewter.com and we will look into trying to add it to the collection.